Hey Yelp! Here’s an idea. Climate change is real. Help me plan for my nights out, k? 2016 update: I still hate being hot. 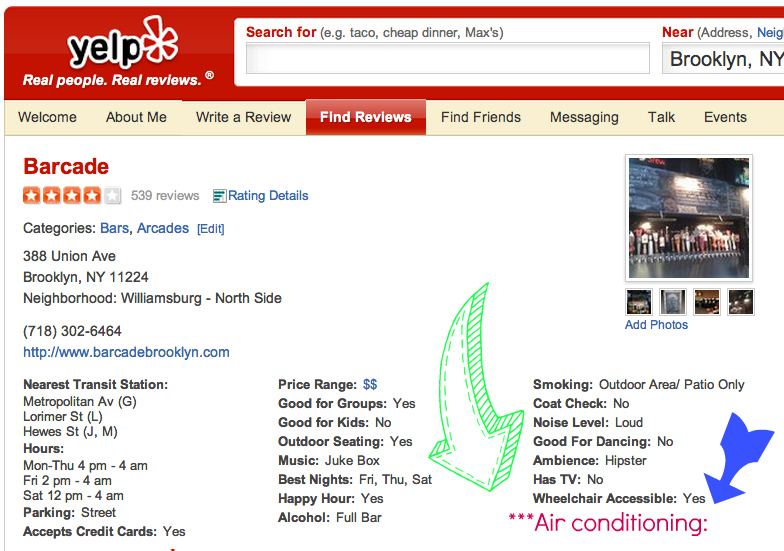 This entry was posted in Current Events and tagged air conditioning, bars, climate change, Yelp on July 12, 2012 by onechicklette.